Short-term ADT for men on active surveillance? One paper to be presented at the upcoming annual meeting of the American Urological Association (AUS) gives results from treatment with a 3-month dose of androgen deprivation therapy (ADT) for men with low-risk prostate cancer compared to standard active surveillance. The data to be presented by Cussenot et al. are the outcomes of a relatively small, randomized, Phase III trial of “transient” ADT compared to standard active surveillance in men with low risk prostate cancer defined by the following criteria: a clinical stage of T1c or T2a, a PSA level at diagnosis of ≤ 10 ng/ml, a Gleason score of ≤ 6, and a staging biopsy of 12 or more cores revealing the presence of positive cores and absence of any core with tumor length > 3 mm. The main study endpoint was a negative biopsy at 12 months post-enrollment. In Arm B, 17/57 patients (32 percent) had a negative biopsy. No serious adverse events related to the study drug were observed. Eliminating, at least temporarily, evidence of the presence of small tumors in the prostates of men with low-risk prostate cancer. Could similar effects be identified with a shorter, 1-month, dose of an LHRH agonist? Could similar effects be observed with a 1-month course of treatment with an antiandrogen like bicalutamide? How long would we need to follow such patients before we could know whether there are any downsides to such a treatment? We would also point out that data from many years ago suggested that the surgical treatment of men with prostate cancer after their treatment with a short course of ADT was more difficult than surgical treatment of men who were ADT naive. While these data are clearly interesting, we could not feel comfortable — yet — that the use of a 3-month course of ADT was necessarily a good idea for the majority of men who are diagnosed with low-risk prostate cancer and are appropriate candidates for active surveillance. This is the second time you have recently referred to evidence of remission, the first being in the “On active and proactive surveillance” thread. Therein, you said it had occasionally been seen in 3 + 4. Do you have a link or two? All the harm and none of the good. Sounds real dumb. Alas no. I do not have any links. This is just my memory from years of reading all sorts of messages from all sort of sites. And I would NOT want anyone to get the idea that I had seen a significant number of Gleason 7s that went into spontaneous remission. 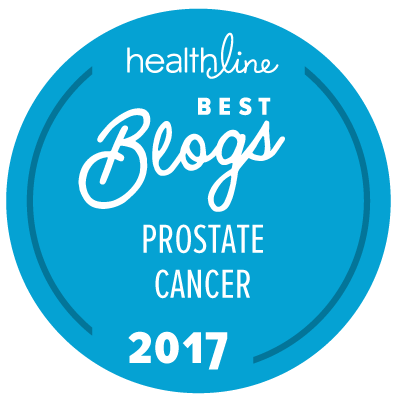 Do just remember that there is a significant percentage of men who get diagnosed with low-risk prostate cancer that simply cannot deal with the idea of “doing nothing”. A single 1- or 3-month shot of an LHRH agonist may be a very reasonable option for such men. However, we are going to need more information. Sure. But we really don’t know what the “best” thing is that such men could do. I would like to point out that for very low-risk men on AS treated with a 5-ARi (for BPH; see here), 54% had a negative follow-up biopsy. Since this is similar to what Lupron achieved, why not go for the drug with fewer side effects? Well, that’s “best” objectively, as well as “best” subjectively (for low volume Gleason 6). Objectively, “best” for low volume Gleason 6 is a proactive AS. End of story. Subjectively, the mentally able choose AS, and those that “have to do something” treat. We don’t know what “proactive” AS is yet! For all I know, men on active surveillance who ate marmalade on their toast for breakfast every morning might have better outcomes over time than the ones who were eating a bowl of cornflakes!